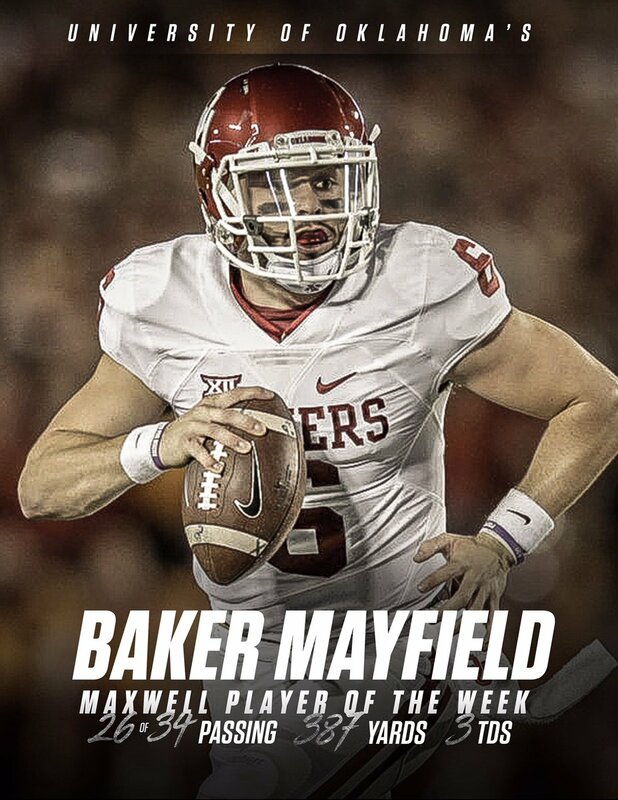 Oklahoma quarterback Baker Mayfield was named the Maxwell Award Player of the Week for his performance in the Sooners’ 31-16 win over Ohio State. Mayfield threw for 387 yards and three touchdowns with no interceptions in the win. The award honors the best overall performance in college football each week.